Written on May 31, 2005 by Kevin. Three school districts in the Atlanta area last week became the first in the country to offer the parental-monitoring option of an electronic lunch payment system called Mealpay.com, created by Horizon Software International of Loganville, Ga. Written on May 13, 2005 by Kevin. The day has come where we hoped to know if our child was going to be a boy or a girl. Unfortunately it did not turn out that way. The women said she believed it was a boy but it seems that it is all a guessing game when it comes to these ultrasound pictures. 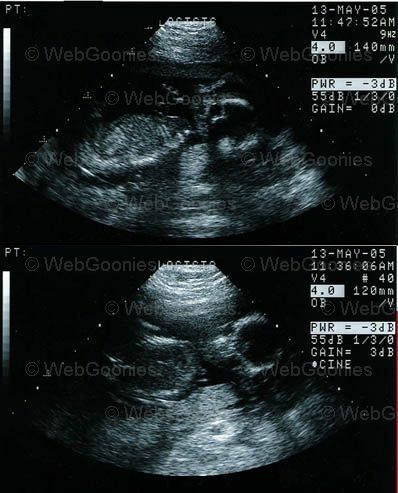 We hope to get a 3D ultrasound in a few months so we can get a better picture of the baby and hopefully be able to start buying some clothes that arent green or yellow. The frustration continues as we wait to know what we are having..